Beynd facilitates a seamless transition between your sales and implementation staff. Our product simplifies complex implementation, on-boarding, and sales processes by keeping the customer, internal staff, and 3rd parties on the same page. This is done by an intuitive interface that communicates progress to all parties in a meaningful and thoughtful way. Work for Beynd Client Onboarding? Learning about Beynd Client Onboarding? "Intuitive, Slick and Ready to Use"
BEynd is a newer product management software that is clean, intuitive, and has a great staff behind it! One of the best parts of BEynd is the ease of use and ability to use email to give status updates. I can honestly say that I do not have a dislike! Consider using this product for all sizes of projects. BEynd gives you the ability to effectively communicate with both internal and external collaborators without paying for each license. BEynd also offers email communication that gives everyone the ability to easily close out tasks and even indicate whether they are "Stuck" on certain tasks. This feature makes it easy and fast for those involved in the project. We are looking for a product management tool that is intuitive and clean. The tool had to be for both internal and external use. We are able to take multiple Salesforce sites and funnel the information into a one-stop shop for our clients and employees. 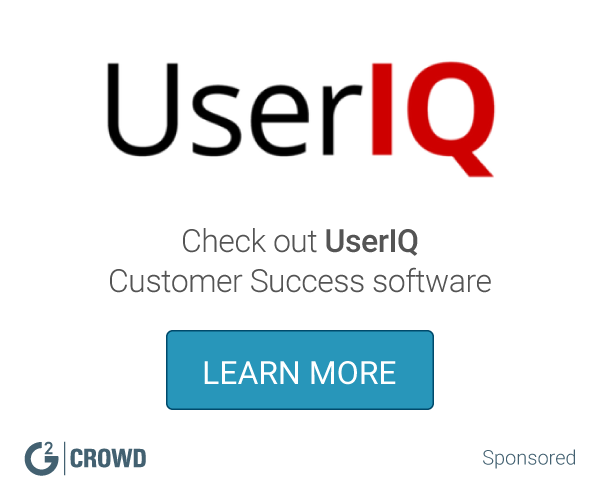 "Easy to use on customer boarding software!" The killer feature of Beynd is the transparency and collaboration it gives you with your new customers during on boarding. I've used a number of tools throughout my careers, and nothing compares. It's still relatively new software, so there are still some small feature gaps that need to be worked out. Also, there are some ways they can improve the interface. However, the Beynd team is super responsive to feedback, and any that we've made along the way, they've implemented into their software. If you haven't found a tool that give your customers transparency during on boarding, this is the tool for you! A more transparent on boarding process! It helps us keep new customers engaged in the on boarding process. What Customer Success solution do you use? "Beynd has transformed the way we do business!" Ease of use not only for us but for our customers. We often are implementing our software to non-technical users. Our customers were able to very easily adapt to Beynd. I love the fact that Beynd has been willing to listen to us and to make adaptations to their software to better meet our needs. Honestly, there is not one thing I dislike about this product. The Beynd team has been so good tow work with us to grow their product by enhancing features we needed to allow us not to lose functionality we had with our previous provider. I cannot recommend Beynd enough for how they have helped us streamline our implementation process. We work with a lot of implementations at one time and this has really helped us save time which saves money. Streamlined our implementation process. Made it much easier to communicate with our customers and I love the fact that it auto-communicates, saves us a ton of time! This will allow us to bring on additional implementation specialist without having to do month of training in order to get the fully up and implementing our product. We anticipate this reducing the amount of personnel needed to keep our products implemented by at least 50%. Top 3 things about BEynd - it is customer facing. Finally a project management tool that is white labeled and cust facing. Contact updates - it seems like every week it's getting better. And, the entire BEynd team is phenomenal to work with. Hard to say there is much I dislike about BEynd. There is some room for growth (integrations with other applications and reporting come to mind) however BEynd is still the best tool out there. Check it out. You won't find a better team ready to meet your needs! "Great product made by a great team!" The software is easy to use and well thought out. Peter and his team are very friendly and responsive to feedback and they are continuing to develop the product more and more. There is still some room for improvement, but they are chipping away at it and it's fully worth the price now and will only get better. Get in touch with them and do a demo and you'll be sold! Great tool for us to track our customers as they come onboard at BigSIS (www.bigsis.com) and we have loved it as a communication and customer success tool. "It is new, fresh, and customizable to each user." Using Beynd for our company has made our day to day operations a million times easier. Our company onboards Dealerships and salespeople. Before using Beynd, we had an excel spread sheet that we updated daily. This was not an effective method for our company. We wanted to find something new and innovative. A platform that was easy for not only our company to use, but also easy for our clients to use. There are a lot of companies out there that offer great platforms, however Beynd was the right fit for our company. It is new, fresh, and customizable to each user. I have shared a little about how great the system is but that is not the best part about it. The customer service you get from the Beynd team is hands down amazing! Anytime I have a question I just type it in the chat icon, on the bottom left corner, and I get a response very quickly. The attention to detail the Beynd team has is outstanding. There were a few tasks I had in one of my projects that didn’t have attachments on them and Taylon noticed this. Taylon recognized that the milestones in all our projects were the same with some exceptions, and he brought this to my attention. The attachment that was missing was a crucial attachment our clients need when launching our platform. That is great customer service. I can go on and on about how great this company is. On behalf of our company, Build-A-Brand, I would like to thank Beynd for providing us with the tools we need to have an effective onboarding process. There are no cons to using this system. I believe that everyone needs to check this out. This is a great platform. Time management. Effective onboarding process. The benefits that I have realized using Beynd is that our clients like the fact they can be involved and see the status of their onboarding. Beynd is user friendly and easy to use. Pete and the team are great to work with and always looking for ways to improve the product. Support questions are responded to quickly and professionally. If they don't have an answer (which is rare), they keep me updated until they do have one. Not much. Features started off relatively basic, but new features and enhancements are being added all the time. "Taking the Onboarding Experience to the next level and BEYND!" I love the ease of use for the customer. It allows for them to quickly and easily get us the information we need. The automated reminders the customers receive help us with getting the necessary pieces to complete the project. There actually isn't anything to dislike. If the tool could have a physical hand that came through the screen to grabbed the customer, we would buy it! The Beynd team and the product are awesome. Being that the automotive industry is a NOW industry, we have historically struggled with engagement during the onboarding process. This tool has allowed for our customers to easily access updates and visually see where they are at in the process. We have seen increased engagement from our customers which has improved the overall onboarding experience. "Great product to get your clients involvedselves "
This product is great. We have only been using for a couple of months but we are pretty impressed with it. Its functional and easy to understand. Our clients, mostly car dealers, are not really technical but this product is so easy to use and gives us an opportunity to share real time project update with the clients. Our clients are happy that they can track the progress of their projects themselves. I have only been using a couple of months so do not have any dislikes at the moment. "Great software, even greater support!" We're using Beynd to onboard clients for professional services. The tool is easy to use and provides high level visibility of status. The Beynd team has been phenomenal when it comes to answering questions (often receive replies within a few minutes) and are eager to hear our feedback for future updates. Beynd doesn't have reporting, but it's on the roadmap and we developed a work around for our needs temporarily. Communication with clients has been dramatically improved, as has the ability to view high level where projects are in the cycle. "Exactly what client onboarding should look like"
Complete visibility for all stakeholders through onboarding process and naturally holds all parties accountable for their tasks. There's nothing here for me not to like. If you're looking for a seamless way to manage client onboarding then look no further. Beynd solves the problem of multiple departments from multiple companies not communicating, connecting, and driving products to completion. Easy to use with all the features you need and none that you don’t. Great at keeping all your key stakeholders informed. Not a dislike but more a request. Looking forward to integration with Sugar CRM. Pete and team are very open to new ideas. Stakeholder communication and keeping our onboarding process on track. Peter and his team are very responsive and always bend over backwards to make sure we are taken care of. The product help our business organize our very complicated GoLive process. Nothing. This product gave us a boost and leg-up where we did not have one before. When our company launches a new client, we need multiple people working on every aspect of the launch, from technical integrations to contract execution to onsite training. This allows us a single place to track everyone's tasks, including the client. "Intuitive and Effective for Project Management"
Great user interface. Very simple to see project status. Quick customer support. Reminder emails (project updates) are sent at 3 in the morning. I have had users complain that the phone buzzing wakes them up. Organizing multiple ongoing projects. This tool is perfect for projects that follow similar stage gates. It provides a quick look at project progress and project ownership. * We monitor all Beynd Client Onboarding reviews to prevent fraudulent reviews and keep review quality high. We do not post reviews by company employees or direct competitors. Validated reviews require the user to submit a screenshot of the product containing their user ID, in order to verify a user is an actual user of the product. Hi there! 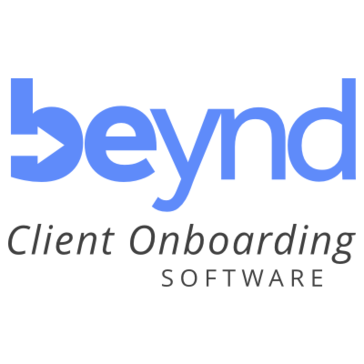 Are you looking to implement a solution like Beynd Client Onboarding?